Also, I run a food blog that's all about using real food with only natural ingredients. There are recipes and some food news, but now I'm having a giveaway! Head on over if you like food and check it out. It's a mix of prepared foods (from real dehydrated foods - no chemicals or anything!) and spices. 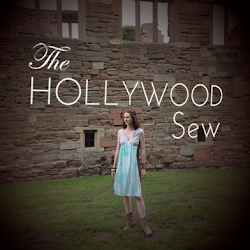 Now that that's out of the way, on to sewing news! In New York twice a year, there's something known as the New Age Jazz Festival, which is basically a lawn party (aka a picnic) where everyone dresses in 1920s costumes. I've missed it every year that I've been here, and I wasn't about to miss it this year. 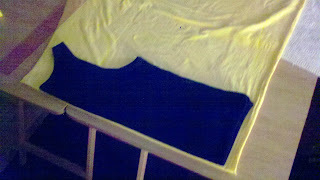 So I bought two yards of yellow jersey and gave myself a week. I figured that would be plenty of time. 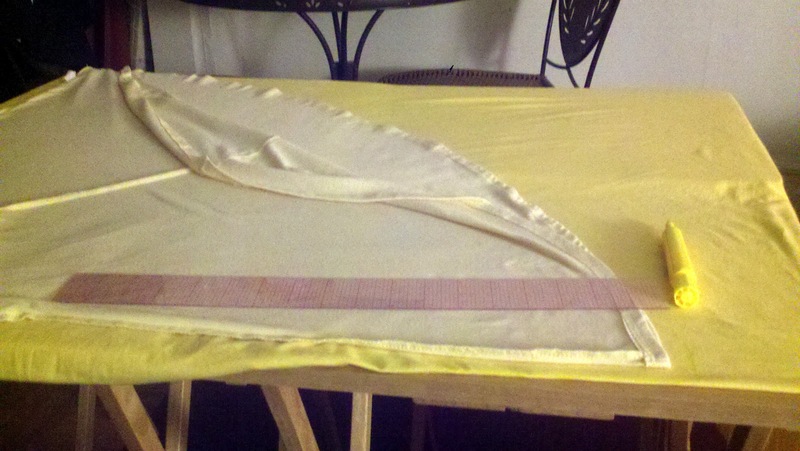 Tracing the skirt and waist from the existing dress wasn't too challenging. 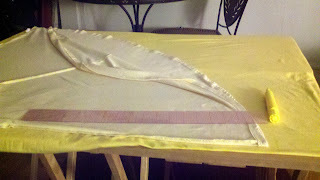 Tracing my tank top and adding wider straps also wasn't too bad. I've heard cutting jersey could be difficult because you might accidentally stretch it, but again, no problem there. This was turning out to be the easiest dress ever!! Tracing the top and adding more of a sleeve. I pinned everything up and according to online instructions, using a double needle was best. 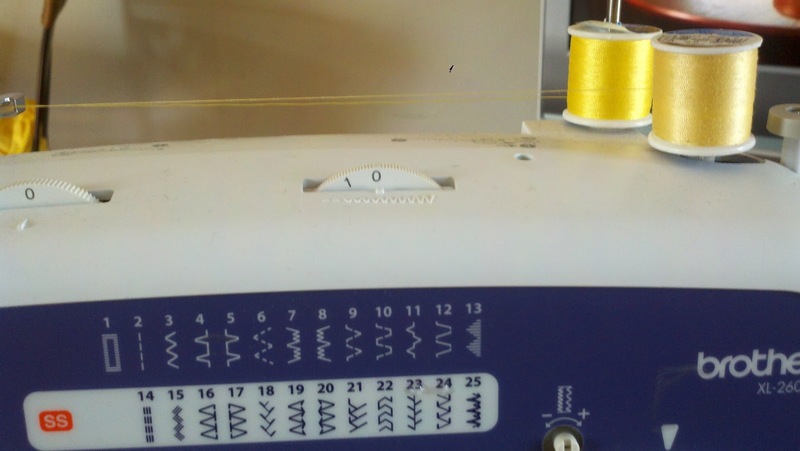 Conveniently I had a double needle and two spools of yellow thread. And that's when I started running into problems. I spent literally, actually two days trying to figure out the stupid thread situation. If you've never knitted on jersey before, you can't use a basic running stitch because it doesn't stretch and since jersey does stretch, the thread will pop. A double needle is supposed to eliminate that problem, but it didn't seem to work very well for me. In fact, the thread kept coming out of the needles, even while sewing. Also, when the machine was sewing, one of the needles would just randomly skip a bunch of stitches. WHY??? I tried looking online, and no one could tell me. They would offer unhelpful suggestions like: adjust your tension, adjust your length, check your needle, make sure it's the proper needle, make sure it's on the right stitch. Every time I adjusted it, the machine would work brilliantly for approximately 10 seconds, long enough to give me hope, then would start to screw up. Seriously, I was about to throw my machine out of the window. I tried searching for my specific machine and "how to sew jersey," but I all I got were a bunch of stupid reviews saying how awesome my machine is because it can sew jersey. LIES! WHERE IS THE JERSEY SETTING? HOW DO I DO IT?? Anyway, the dress finally just stitched right up. Of course, it wasn't in time for the festival, but it still looks cute enough to wear every day. And perhaps I'll wear it to the festival in August! The only slight problem is the neckline. The fabric that lays over my collarbone tends to roll. Ironing it didn't seem to help, nor did cutting down the excess fabric. Any ideas? See the rolling? And no, it's not because my arms are raised. Hm, looks like the sleeves roll a little as well. Now that I figured it out didn't screw it up too badly, I can't wait to do more because jersey is my favorite material of all. If I had my way, everything would be made of jersey. And soon it just might! 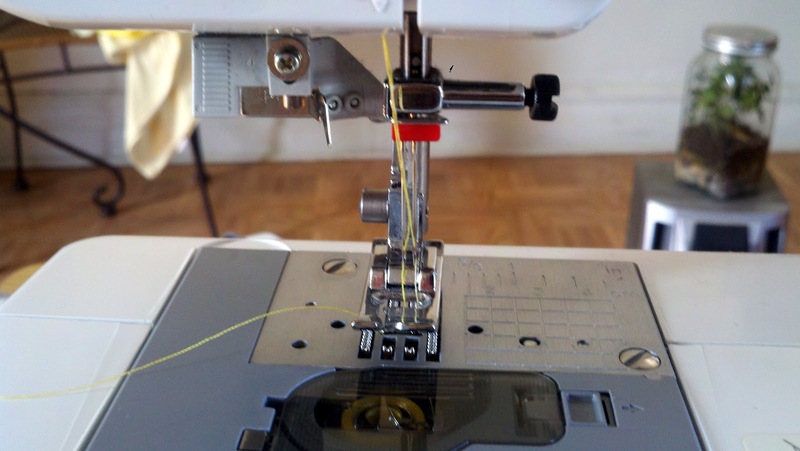 Its times like those when it won't thread/stitch/tension is wrong etc. that has put me off sewing machines. Oh great dress by the way. Have you practice your charleston in it? Yes, I hate when sewing machines don't cooperate and you can't figure out why. Luckily, I've since gotten a newer, better (imo) machine that doesn't require nearly as much figuring-out-time as this one did. And thank you, thank you! This dress is amazing to wear out and dance in. My Charleston skills, on the other hand, need a little more work. Thank you so much for the help with the settings! I just bought some more knit fabric and I'll definitely try that out!